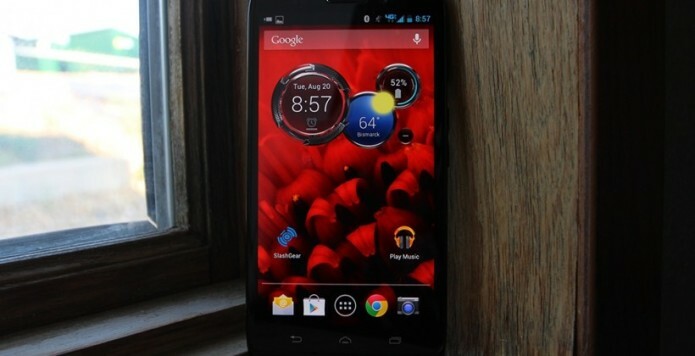 Motorola Mobility scored big when they teamed up with Google. If it wasn’t evident enough in the Moto X, then certainly Motorola’s newly optimized experience is ready to shine in the DROID Ultra, the first of three devices coming from Verizon in their newest exclusive brand lineup. If the DROID RAZR HD took the originalDROID RAZR to a place where it was more than ready to be that single unique member of the Android universe that was both top-tier for display and processor quality as well as fully rugged enough to make up for the comparative lack of hype the line received, the DROID Ultra succeeds in replacing the RAZR line in more ways than one. While we’ll leave the bulk of the compare and contrast duties to ourDROID Ultra vs Moto X article which has the former device proudly stating “anything you can do, I can do better.” We say this because the Moto X certainly has a well-rounded package in its custom-order color scheme and customizations, not to mention its multi-carrier release stage, but the DROID Ultra has the same specifications as the Moto X at nearly every angle. Each of the pixels delivered with this camera is 1.4-microns in size.HTC’s UltraPixel camera delivers pixels that are 4-microns in size. You’ll sometimes see microns referred to as micrometers – these are the same unit of measurement.